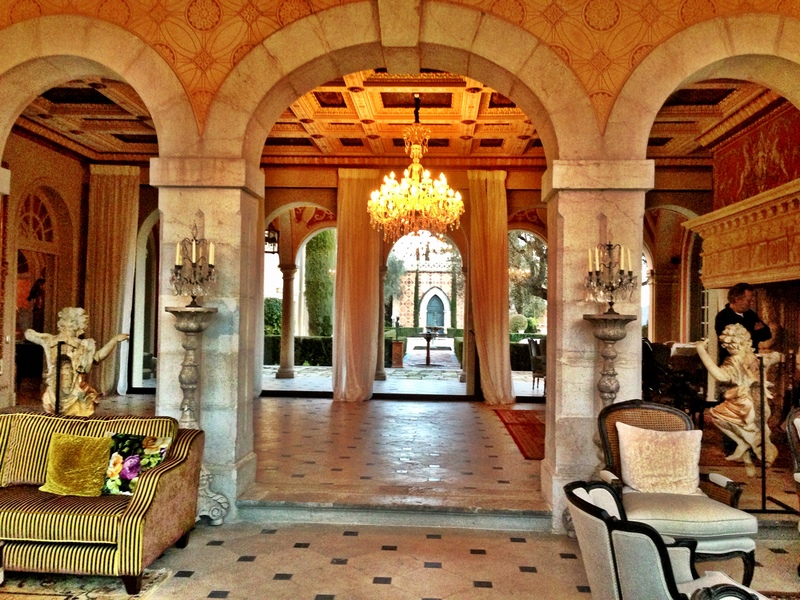 Château Diter is the embodiment of a luxury wedding venue. This is the venue that will leave speechless and breathless even those of you who think they’ve “seen it all”. Located on a terrain of 7 hectares, this magnificent Italian Renaissance villa offers a truly unique wedding setting amid its numerous themed gardens, Roman columns, antique statues, ornamental ponds and fountains. Going from one hall of the chateau to another can be compared with travelling in time and across the globe with a (real) stuffed ostrich dating back to the 18th century in one gallery, oil canvas paintings in another and a live white (!) peacock strolling around in one of the gardens. The experience is really one of a kind, I tell you. Wedding ceremonies are usually held on a spacious loan under a stunning Tuscany marble arbor decorated with hundreds of flowers. Epic spectacular. 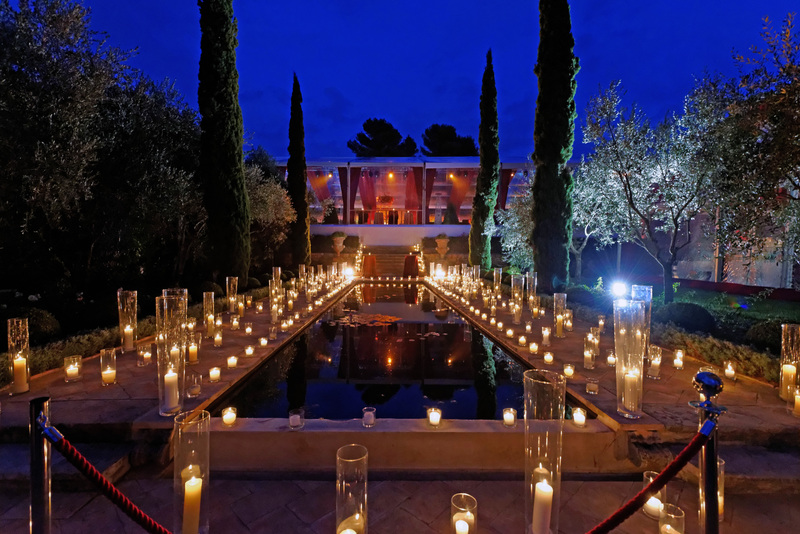 After the ceremony guests can relax in one of the themed gardens of the villa: Jardin de Pompéi, an exact replica of the House of Faun in Pompei, Jardin de Vérone, Mediterranean Garden or L’Orangerie. This chateau will be perfect for big weddings as it offers ample space for everyone to feel at ease and enjoy this remarkable venue in the countryside of Provence. Up to 28 people can sleep in the chateau and there are plenty of hotels nearby, reachable either by car or, if you wish, by helicopter. 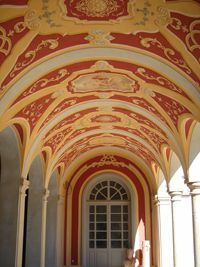 Every suite of the chateau is unique and decorated with great taste and elegance. Some rooms can be interconnected if bride and groom wish to sleep in different rooms but still be close to each other. Heated swimming pool, walk-in closets the size of a decent apartment and beautiful marble bathrooms (décor varies for men and women) are just some of the remarkable features of this amazing property. There is also an area that can be turned into a nightclub or a lounge area. A XV-century fire place (which one could actually walk into) at the entrance to the library deserves a special mention for it is the most unbelievable work of art I had the pleasure to see. Chateau Diter is not just an utterly romantic Provence villa but also a vineyard that produces some distinctive wines, and an olive garden producing AOC olive oil of the highest quality. The area of the property is highly secured and protected. This is really a completely different setting that very few venues in Côte d’Azur can pair up with. Please contact me to enquire about any aspect of your wedding in Cote d’Azur. If you wish to organize your special day at Château Diter, I can arrange a visit to check the availability for your desired dates and negotiate the best rates for your wedding package. Hello my name is Natasha Ferreira. Me and my future husband would like to marry into one of your beautiful homes. We would prefer Chateau diter. The wedding should be in August 2019. The exact weekend is not fixed yet. First of all, we have to fix our budget. For that it would be great if you could tell us, how much the location is. There will be from 60-80 people. Including Musik, wedding planer, maybe helicopter flights, artists and stuff like you presend on your website.